President Donald Trump continued his attacks on late Sen. John McCain on Wednesday, this time complaining that he didn’t receive a “thank you” note for arranging plans for the Arizona Republican’s funeral last year. Trump devoted several minutes to blasting McCain during an official White House event about manufacturing jobs in Ohio, while also seemingly taking credit for the funeral he was given. “We sent him on the way, but I wasn’t a fan of John McCain,” he added. Although Trump attended a service dedicated to McCain last year, he did not attend the funeral at the request of the late prisoner of war’s family. The president also drew criticism just days after McCain died by waiting to lower flags at half-staff and to issue an official statement. McCain died in August at age 81 following a long battle with a rare form of brain cancer called glioblastoma, with which he was diagnosed in July 2017. Among the other things Trump lambasted McCain over was his alleged involvement in the release of the infamous Steele dossier to the FBI, which contained claims of Trump’s ties to Russia. The president also criticized McCain for opposing the GOP effort to repeal Barack Obama‘s Affordable Care Act, for his support for the Iraq War and also accused McCain of not doing enough to support military veterans. Sen. Lindsey Graham calls John McCain “an American hero” in response to Pres. Trump’s attacks on the late senator. 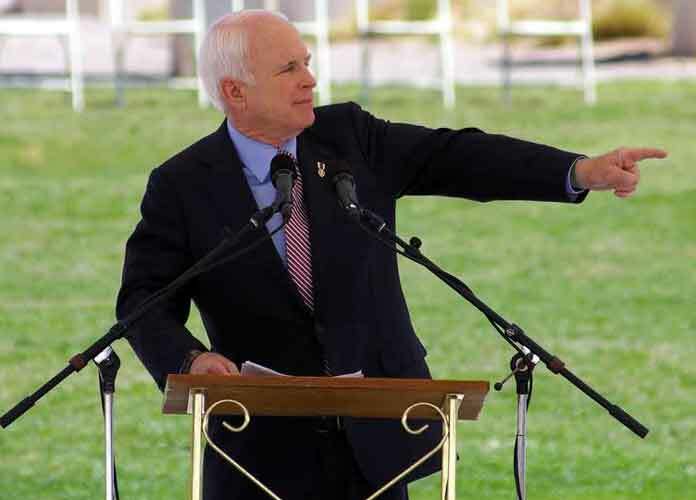 Several of McCain’s relatives like his daughter Meghan McCain, as well as his friends and lawmakers from both political parties have rebuked Trump for his criticisms of the late Senator. “McCain will always be a better man than you in every way we measure a man’s character,” former McCain adviser Mark Salter fired back at Trump over the weekend.